Solcraft PDC and Mid-Atlantic Foam are moving forward on a project to provide an ICF with a pre-embedded electrical raceway. Mid-Atlantic Foam is the producer of LiteForm Technologies’ new Flexx-Block; Solcraft markets the E-Channel electrical raceway designed for ICFs. 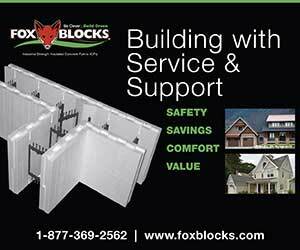 While E-Channel can be site-installed in most ICF systems, a block with pre-installed chases offers some advantages. 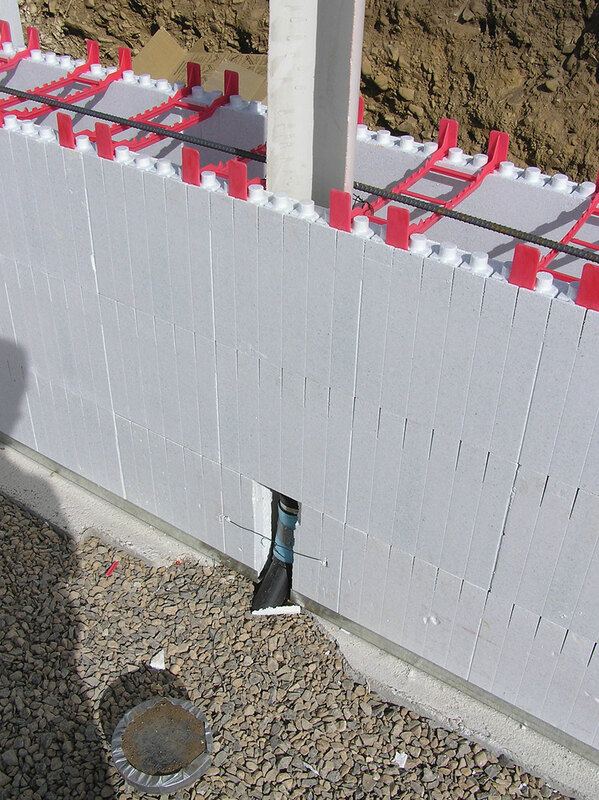 “What [this] provides is a ready-to-stack electrical block that saves significant costs, and reduces construction challenges for the ICF contractor,” states Steve Borgeson, an ICF consultant for Mid-Atlantic Foam. “Now, the builder can provide a wall system that can be upgrade with new wiring through the life cycle of the building.” Developers hope it also will resolve concerns of ICF electrical subcontractors. Mid-Atlantic preinstalls the E-Channel into the block, and delivers a set-in-place, ready-to-wire wall system. Flexx-Block’s 6”-on-center furring strips and patented folding tie remain unaffected. Quad-Lock Building Systems has updated and expanded their online library of construction details. While these details are generic in nature, the drawings will make the conversion to ICF construction easier than ever, particularly when a plan has already been drawn with other materials, like masonry or stud construction. Designers can download the drawings at no charge and customize them to their own specifications. For example, an engineer can add the size and frequency of rebar placement that results from his or her project-specific calculations. Architects can add specifications for building performance, like R-Value and building orientation to specific details. There are nearly 150 details posted for Quad-Lock ICF walls, Quad-Deck and R-ETRO which replace all of the existing details and expand the scope of the library significantly. All details can be downloaded in either .pdf or .dwg formats. Currently, drawings are available with only imperial measurements, but a metric version is scheduled to be available before year end. The Portland Cement Association has compiled a 50-page report comparing the insulating value and thermal performance of 11 different wall systems. Available on CD or as a booklet, it shows the benefits of concrete-based walls in different regions of North America. Among the 11 wall systems evaluated are concrete masonry, insulated cast-in-place, autoclaved aerated concrete (AAC), wood-frame, steel-stud, and insulated concrete forms (ICFs). Titled Thermal Mass Comparison of Wall Systems, it is available at the online PCA bookstore. Legalett, which markets an innovative EPS foundation system, has announced that AMC Foam Technologies Inc. will now manufacture and market Legalett’s frost protected shallow foundation (FPSF) and in-floor heating system to the US and Canadian Midwest. 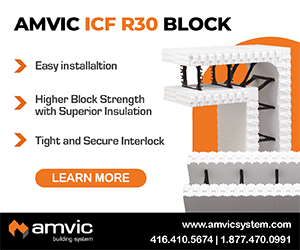 Manitoba-based AMC Foam is best known to the ICF industry as a manufacturer of Logix ICFs. Williams notes that Legalett is economical for typical construction, but is especially cost-effective in areas with poor or expansive soils. Legalett can reduce or eliminate the need for costly grade beams and pile foundations. The Emmy-award winning TV series Extreme Makeover: Home Edition, is once again building with ICFs. This time around, Nudura ICFs will be used to build two structures, a family home and a community center, one week’s time. While construction was wrapped up weeks ago, an air date has not yet been set. Producers at ABC indicate it will be broadcast sometime in February, and may be edited for the two-hour season finale instead of the typical hour-long program. Forms were provided by Chaney Enterprise, a Maryland based ready mix supplier and ICF distributor. “When we approached our customers and vendors about participating, I was overwhelmed by their generosity,” said Jan Holt, chief customer officer for Chaney Enterprises. Leep Green donated labor for the ICF install. Burch Builders Group, a northern Virginia homebuilder served as general contractor. In the early morning darkness of an August night, an out-of-control Sport Utility Vehicle (SUV) came racing down the hill in front of Ryan Heacock’s home. Unable to make the 90 degree turn at the bottom, it bounced over the curb and plowed a path though the yard before smashing into the house. The entire episode was recorded by Heacock’s security cameras. The home was built with Quad-Lock ICFs, which “bounced that Explorer off like a little toy” Heacock says. Despite taking out the wood handrails, numerous flower pots, and landscaping blocks, there was almost no damage to the home, with the exception of the siding, insulation, and some small chips of the concrete. “I can’t imagine what would have happened if this was a wood home!” Heacock says. The popular Ready Mixed Concrete Industry LEED Reference Guide has been updated to incorporate the changes of LEED version 3. Commonly referred to as “the LEED Guide,” it is published by the RMC Research & Education Foundation. This revised edition incorporates the 2009 standards for New Construction and Major Renovations (LEED 2009 NC) and provides guidance on how concrete may contribute to gaining certification under the USGBC’s Leadership in Energy and Environmental Design (LEED) green building certification system. The LEED Guide was originally published in 2005. “The USGBC continues to improve and update the LEED program so the foundation has done the same with its LEED Guide,” said RMC Research & Education Foundation chairman Karl Watson, Jr.
of the LEED Guide are available for purchase for a nominal fee from NRMCA at www.nrmca.org. 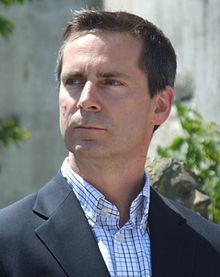 Premier Dalton McGuinty, leader of the Canadian province of Ontario, opened a new training center in Ottawa in November, surrounded by a backdrop of insulated concrete forms. The training center belongs to the United Brotherhood of Carpenters Local 93. 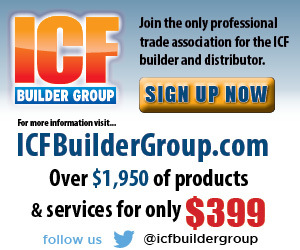 The carpenters’ union has been one of the most vocal proponents of ICFs in the trades, creating the first generic ICF training course for its members more than five years ago. According to a report by the Ontario Chamber of Commerce, 40% of new jobs in that area in the next two decades will be in the skilled trades and technologies. That’s why Ontario invested almost $400,000 in the Training Centre to help purchase tools, scaffolding, safety and other equipment. In a video of his remarks available on the Premier’s website, workers can be seen stacking, cutting, and building with ICFs.